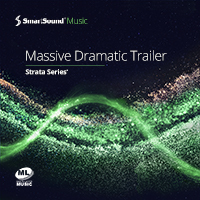 An powerful set of tracks featuring exquisite live orchestra and vocals designed for highly dramatic sequences where audience immersion and high emotional involvement are sought. Using a variety of dramatic sonorities, these musical monuments vary from high-octane action, to heroic and more, all with a beguiling intensity. Use SmartSound’s Custom Length, Mood Mapping and Timing Control technologies to match these perfectly to your dramatic visual moments. Epic. Dramatic. Heroic. 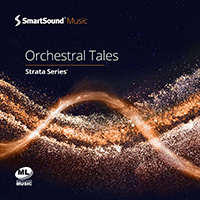 Armed with a strong lineup of modern orchestral sounds, this album will set the scene for your cinematic experience and provide a defining soundtrack; whether it be for trailers, games or film. While all of SmartSound’s Multi-Layer capabilities are present in these tracks, their driving force and percussive beats make for particularly effective results with our Custom Length and Timing Control features. Another orchestral masterpiece from Mr. Becker. This time out we experience a set of tracks expressing a rich panorama of emotions including calm, beauty, pensiveness, thoughtful activity, subtle mystery, thrilling and uplifting and epic. All tastefully done in a full, orchestral palette that cries out to be molded into highly personal video and movie backdrops through SmartSound’s Mood Mapping technology. Treat your audience to an inviting, uplifting experience. You will find a selection of stirring, motivating, but also relaxing tracks that are all about recharging one's batteries - and anything in between. Discover modern sounds focused on innovation, inspiring piano melodies, light acoustic songs as well as beautiful orchestral arrangements; all fully customizable thanks to SmartSound's custom length and multi-layer technology inside Sonicfire Pro. 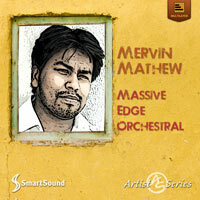 An orchestral album of dramatic beauty and deep emotion. Each cue can be totally customized to fit your most demanding scoring needs with all of Sonicfire Pro Software's amazing features including Mood Mapping, Custom Length, Timing Control and more. This volume of cutting edge sports music picks up where it’s recent predecessor left off. Still comprehensive in scope and designed to cover almost any type of sports visual imaginable, it adds a fresh take on every sports style: From epic orchestra-driven rock, to electronica-action, hip-hop funk and power-guitar that will blow the doors of your visuals. 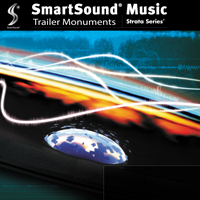 As with the previous release these Multi-Layer tracks can be easily customized with all of Sonicfire Pro 6’s powerful tools, and especially benefit from SmartSound’s unique ability to build intensity over time with its Mood Mapping and Variations tools. Core Ultimate is Sonicfire Pro 6's aptly named included album. Meticulously produced for the highest possible production value, it covers a wide swath of styles, providing the media creator a rich and varied palette for almost any visual need. 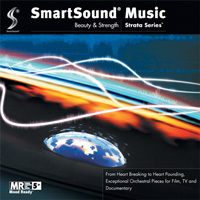 This incredible album includes a themed three-track orchestral suite ideal for scoring entire movies when used with Sonicfire Pro 6’s powerful technologies, inspirational tracks with a modernist edge, simple happy, upbeat music, a rave rhythm-guitar jam perfect for high activity, a live vocal indie-rock song that could be a chart-topper, and more (10 great tracks in all). All ten tracks are in SmartSound’s Multi-Layer format giving you total access to all of Sonicfire Pro 6’s exciting features. This album will give you countless ways to explore Sonicfire Pro 6’s great technologies that will in turn, allow you to meld them into the perfect fit for your unique vision. Core Ultimate is only available as part of Sonicfire Pro 6 and not sold separately. An intense cinematic exploration of big-sound orchestral music layered with electronic textures ranging from low growls, huge sweeps, digital flutters and syncopated spasms. Huge drums and backbeats match the big-orchestra sound and electronics for heroic climaxes juxtaposed with the dark and dramatic. 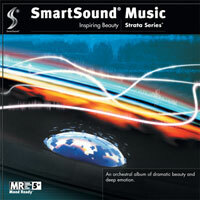 Use this multi-layer album with SmartSounds Mood Mapping technology for mixes from face-meltingly full to minimally atmospheric and personal, while timing the piece perfectly for your visual. 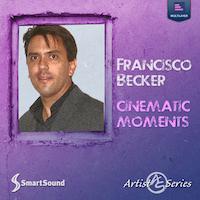 From Heart Breaking to Heart Pounding- Exceptional Orchestral Pieces for Film, TV and Documentary, in Multi Layer for use with Mood Mapping in Sonicfire Pro Software and the Mood control in SmartSound's Cloud technology, Quicktracks. This superbly written album offers a rich, varied orchestral tapestry with which you can weave almost any imaginable visual mood.